DeRese Hall has watched the Jefferson County Library change and adapt over the nearly 40 years that she has worked there and now another change faces the library — Hall is retiring. "I will be done the middle of April," she said. The new director is coming from North Dakota and with a move that far, his start date has been pushed back. He will be arriving closer to the end of the month. Hall said it will be nice to not have to get up and go to work every single day, and now that she is retiring, she and her husband, Richard, can travel some. He has retired already. 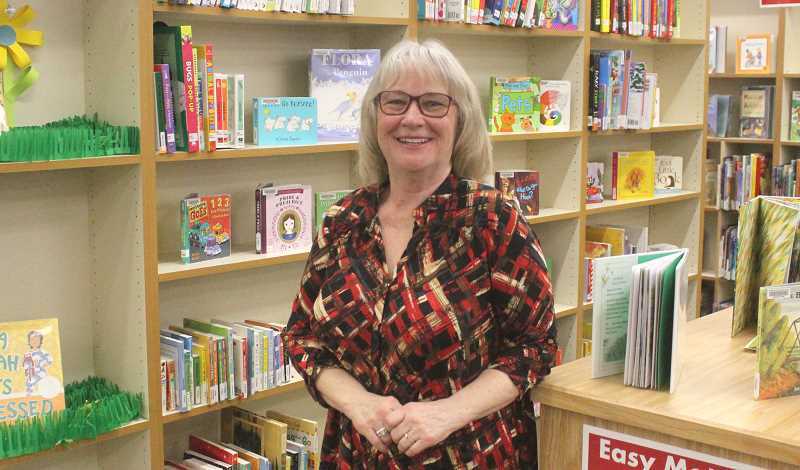 About two months shy of hitting her 40-year mark at the library, Hall said, "I was kind of hoping to make it, but that would be June ... but the timing just didn't work out that way." The only time in Hall's life that she didn't live in the community was the period of four years that her husband was in the Navy, spending part of that time in California and then Hawaii. They moved back, after the four years, planning to stay just until they figured out where to go next, but things didn't end up that way. Her husband got a job working as a meat cutter at Erickson's Thriftway, learning the trade form someone who was retiring. Hall had a history with the library. "When I was in high school here I used to walk home, you know back in the day, you used to walk home, and I used to stop in at the library quite often," she said, adding that the librarian knew her and would hold books she thought Hall would be interested in for her. When Hall moved back, that same librarian was there, and Hall continued to visit the library, just as she had in high school. The librarian had a job opening at one point, and Hall said, "I didn't apply, I didn't do anything; she called me." As a stay-at-home mom, Hall found that the job would offer flexibility, allowing here to work evenings and Saturdays. "I worked until my daughter came along and I had no intention of going back to work," she said. "My phone rang again." And, she returned to work. As time went on, Hall explained that she could change up her hours accordingly as her family's lives changed and her two children got older. "I enjoy working at the library," she said, mentioning that no day is like another — it is always different. "I never thought 'Oh gosh, I have to go to work again today,'" she said. The library has seen a lot of changes over the years and Hall has witnessed some of the biggest, including computerization of the system, watching the library move buildings and the library's entry into an Integrated Library System with Crook and Deschutes counties. Even changing the carpet a few years back was a massive undertaking. Hall said that when the computers were first being implemented, no one really knew what to expect or how much they truly would change things. She said they all had to learn together, from scratch. "Everybody was in the same boat, now if you get people coming in that say 'I don't do computers, it's like 'Holy cow! You don't do computers?'" She said, "We didn't know what we were going to do with these things." It was like someone telling you to throw out your whole system and start from scratch, when your system was working just fine up to that point. Now the library depends on the computers. Hall was also around when the library moved from its old building, to its current location. Community members came out to help move the books from one building to another, creating a long pass-along-line down the street. When they had to change the carpet in the library several years back, Hall said they had to load the books onto book trucks, haul them into the library annex next door, unload them onto the floor, being careful to keep them I order, and then do the whole thing in reverse after the carpet was changed out. It was quite the project. Hall became the library director in November 2011. The library had a director who had come before that, because the library was hoping to build a new building and that was his area of expertise. When that didn't happen, he decided he would move on, but told the board that they already had someone who could serve the library as director, and do it well — Hall. She wasn't fully sold on the idea in the beginning, but she said that the director who was leaving had so much confidence in her ability to do it, she rose to the challenge. "I hadn't even thought of it," she said. Hall has enjoyed her time at the library and the flexibility and ever-changing job description is what kept her interest for so many years. "It's always a great day to come to work; you just don't know what's going to happen or who you are going to deal with, or what questions you are going to answer. From the very beginning, that is always what it was, and taking (the director) job didn't change anything, it was just bigger questions and more involved questions," she said. From June 1979 to April 2019, she said, "The years just went by so quick."